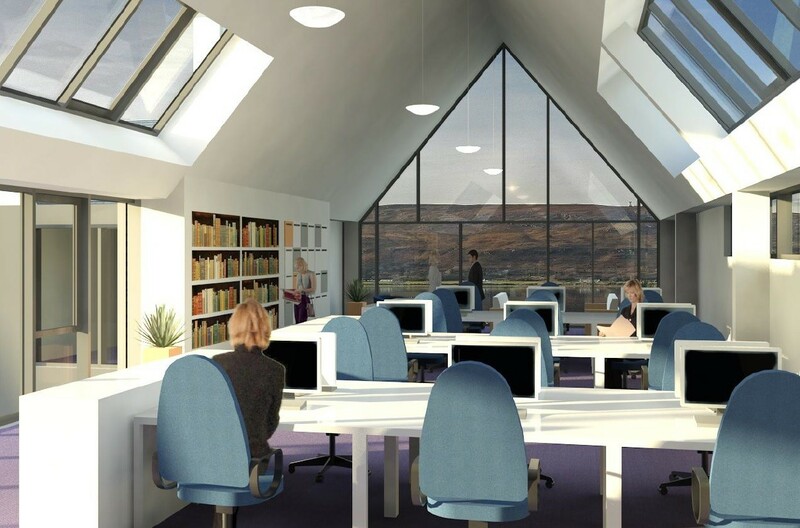 Highland Council is to press ahead with an office rationalisation programme, the centrepiece of which will see the B-listed former Fort William secondary school (currently a ruined shell) remodelled as a civic hub, including demolition of a canteen hut and gym. 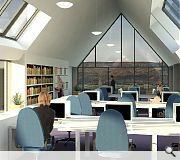 Designed in-house the £6m project will see a contemporary extension built and interiors reorganised to form a new reception space, registry, council chambers, committee rooms and office space. 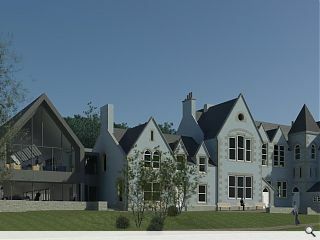 The extension will overlook a south facing landscaped courtyard South Facing landscaped courtyard that will double as a flexible function space and break out area. Completion of the new hub in May 2017 will allow the council to vacate three leased properties within the town centre. Nice view from those desks! 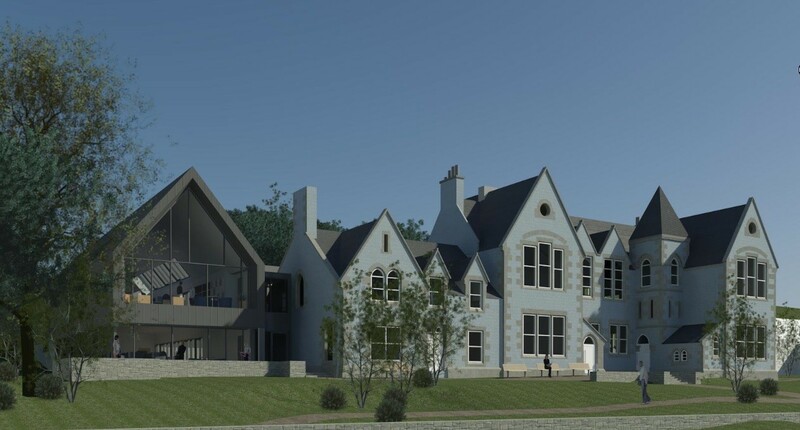 A real missed opportunity - two listed school buildings owned by Highland Council on one site, and instead of restoring both they extend & restore one. Surely it would make sense to utilise both? The extension is just the usual meh. Almost quite good. At least it removes an eyesore from what is the entrance to a tourist destination.